Portal used to cost money. Until May 24th, it's free. End of story. Well, technically speaking, there are some strings attached. Fortunately, they're entirely decorative. We just like the way they look, swaying in the gentle breeze created by a million people simultanously fainting from shock at the news that Portal is free. Now you have no reason not to try Portal. "I have a reason," some of you are probably typing into an angry email. "You see, sir, I own a Mac." You'd think that, especially since it actually won over 70 Game of the Year Awards. But, like we keep saying, Portal is free. Free on the Mac. Free on the PC. But only until May 24th. 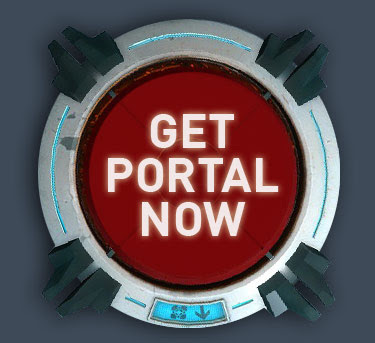 So you only have a few days to decide if your free copy of Portal is worth the price we're currently charging - which is you ever-so-slightly moving your index finger just barely enough to click the big red "download" button right there to the left.